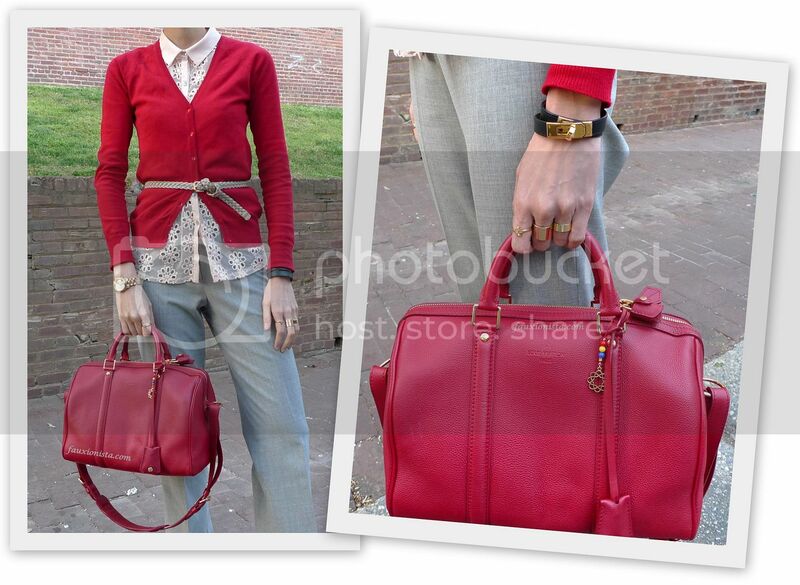 This entry was posted in Fashion, Outfit and tagged Cartier, Cole Haan, H&M, Hermes, Louis Vuitton, Sofia Coppola, vintage, ZARA on April 4, 2013 by fauxionista. Your bag is beyond amazing! Your red cardigan looks so nice, as well. If you get a second, please check out my latest post. I would love to read your feedback. I am loving that satchel! And I hear ya about spring – it’s freezing cold and wet today, we had to turn the heat back on! Thanks, Lisa! Yeah, had to turn on the heat here, too.